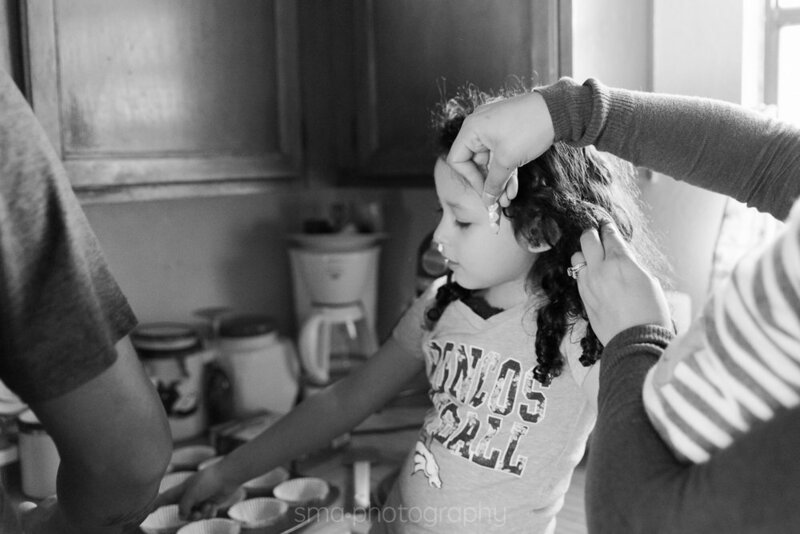 One of my very favorite things about photographing families is witnessing the love in each and every home I visit. Sometimes it's in the way a child lights up when she's talking with her mom. Sometimes it's the way brothers play shoulder to shoulder. And sometimes you feel it the minute you walk in the door. This was one of those homes. 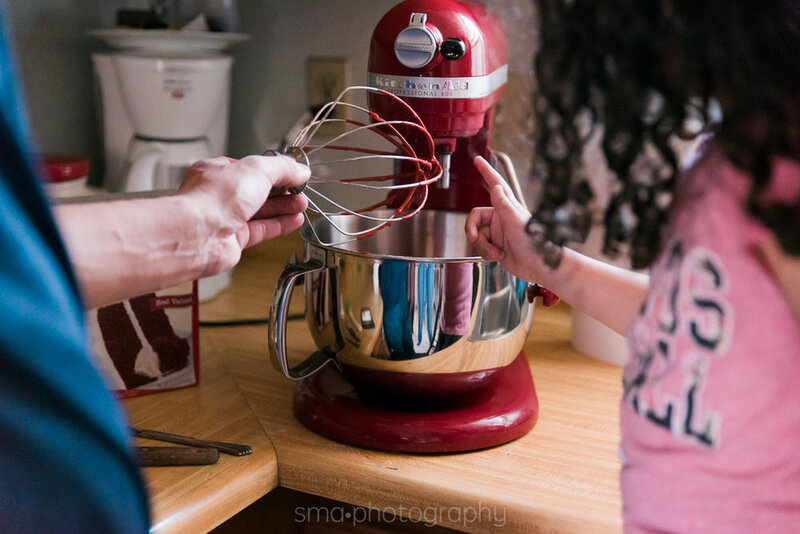 When Flor, Jamie and I met a couple months ago to plan their family’s storytelling session, it was clear that there were 3 things they really loved to do together as a family – attend mass, watch the Bronos, and bake. 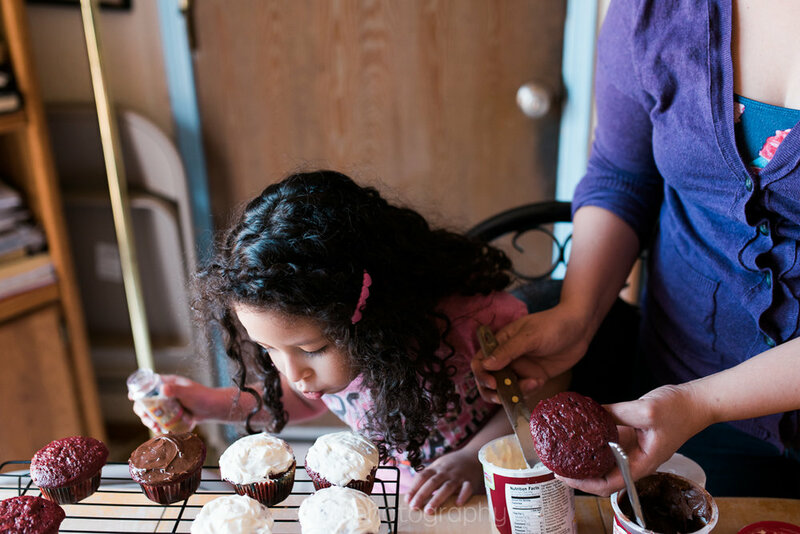 With a little input from their daughter, cupcake baking was the undisputed champion. Flor had also told me that her daughter is a 4 year old hipster, and man, can she run a playlist! She knew the words to every song, and even introduced me to some new ones! She's such a loving big sister to her baby brother, too! Thank you so much, Flor and Jaime, for inviting me into your home. It was such a joy to capture memories of this time for a lifetime!